The HR department plays an integral role in an organization. Employee welfare, benefits, onboarding, personnel disputes, compliance with labor standards, compensation, social activities, and even recruiting typically fall under the purview of the human resources professionals. HR departments don’t work autonomously; executives often guide strategic initiatives to ensure the success of the department and the organization. Finding the best strategies to manage employees is a tall order, but the best HR leaders find a way to do it. With increased transparency in recruitment and advances in technology, companies have to work harder than ever before to recruit and maintain top talent. Employee preferences are constantly changing, and savvy HR professionals keep up with emerging trends. Here are six things HR leaders should be doing right now to meet these evolving needs. The HR head acts as the voice of the HR department, communicating with other leaders to make strategic decisions and collaborating with other departments to roll out HR initiatives. Without executive buy-in for strategic initiatives, HR leaders won’t be able to implement strategies to stay ahead of the competition. When it comes to recruitment, HR leaders should be “selling” the organization, regardless of what channel the company meets people in. Whether it be through in-person recruitment events, social campaigns, or broadcast campaigns, HR professionals have to sell their organization in a way that makes top talent want to join the company. Projecting this image goes beyond mere recruiting purposes, it also creates a brand awareness among the talent pool, competitors, and the broader community. HR leaders have to be problem solvers. One of the best ways to solve problems is to work with people who use transparency when presenting issues and obstacles. In order for employees to be transparent, HR professionals should be transparent--albeit with a professional approach. The HR head should be open to discussing difficult issues that crop up and encourage employees to be transparent about their thoughts and feedback as well. There are a lot of studies pointing to the benefits of a diverse workforce. When companies integrate people from different backgrounds and perspectives into their teams, they strengthen the company as a whole. The most successful organizations embrace diversity and reinforce a culture that not only accepts employees for their differences but uses those unique skill sets and perspectives to build a thriving organization. When there are numerous processes in place, employees might feel overwhelmed trying to follow through with each HR process. Furthermore, they might feel stifled having to follow traditionalist processes without the opportunity to suggest enhancements to existing processes. Instead, HR leaders should be selective about the number of processes they expect to follow. When they want to implement new processes, they should use a well-timed and well-researched rollout strategy. This way, employees won’t feel stifled by the process. Today, teams within a department no longer work in silos. A collaborative working environment provides opportunities for employees across various teams to learn from each other. 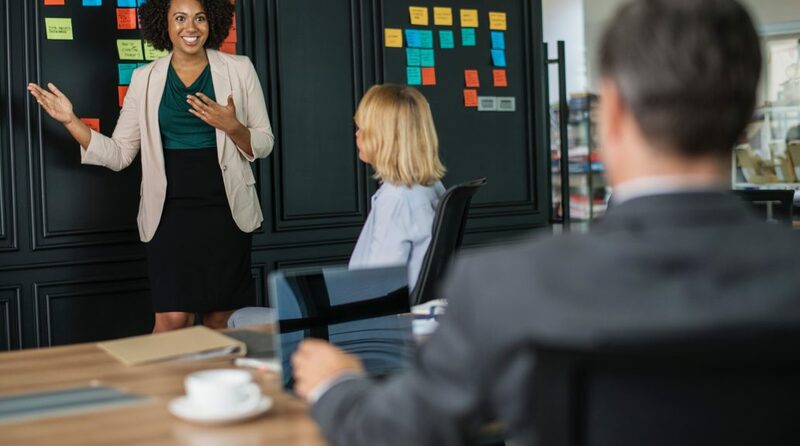 Additionally, when HR builds a collaborative company culture, employees increase their skill sets and branch out from their current roles, which creates advancement opportunities and increases employee retention. Most of the time, top executives don’t have a good handle on what is happening at ground level, given that most employees tend to “fear” high-ranking employees simply because of their seniority within the organization. The strongest HR leaders find ways to replace this “fear” by having regular conversations with employees, feedback sessions, or town halls. As the HR head, the idea is not to let the seniority and power rule the employees, but to let employees know that with this seniority and power, you are able to act as their voices in times of strategic decision-making. RenQun Huang is a Senior Operations Executive at Gpayroll, a software company offering a variety of automated payroll and HR solutions.